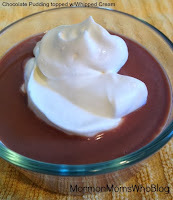 This is my Aunt Eva's warm Chocolate Pudding Recipe. It's so much tastier than any box mix and is quick to prepare with ingredients you probably already have on hand. It's well worth-it to cook homemade for your family. Things always taste better when made with love.